Not much to report other than lots of varnishing and further prepping the coamings for final installation. 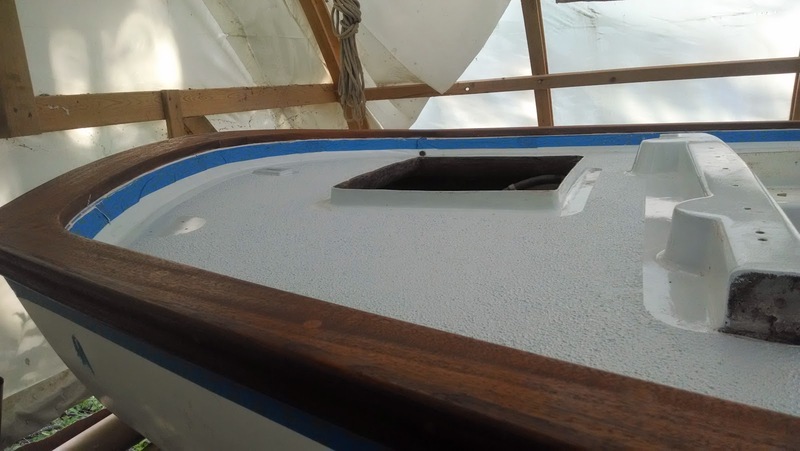 I taped the inboard and outboard edges of the entire caprail so I wouldn't get any varnish runs on the new paint. I got the first coat of varnish on the caprails in about an hour. Not too bad, but it's going to be very tedious. 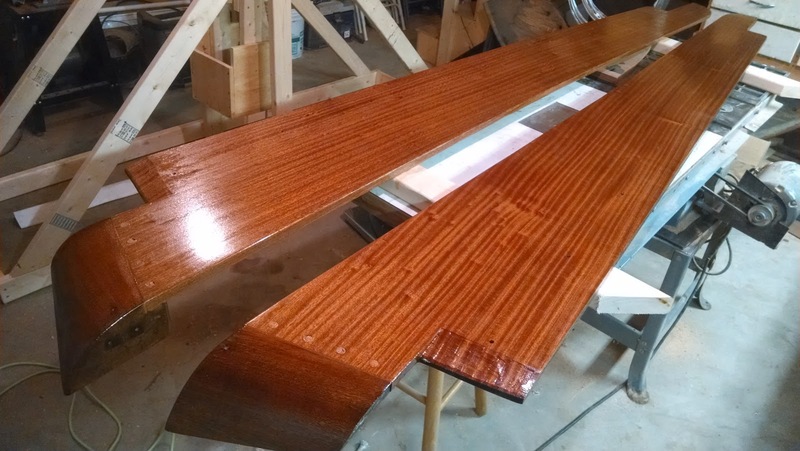 In deciding to reuse the old coaming blocks I had to come to terms with the fact that the joint between the new coaming boards and the old blocks would not be perfect, so I sealed the joint with mahogany colored Sikaflex 291. It looks pretty good and the joint is barely noticeable. Once that cured, I plugged the screw holes with wood bungs, cut them flush and sanded it all down. I followed it all up with a coat of varnish. I'll probably re-install the coamings after 3-4 coats of varnish (I'll still need to do many more coats once installed), but I needed to have the aft deck Kiwi-Gripped beforehand. It was such a small area, it only took about 10 minutes once I had everything taped up. As always, the prep work is what takes time here. 20 minutes to tape, 30 minutes to sand the deck and all the corners and edges, and 10 minutes to vacuum and wipe everything down with acetone. Once it was done, I pulled all the tape before it had a chance to dry and it was done.